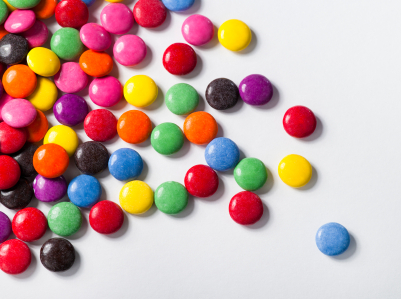 it all started with a single smartie… – Are Your Planets Keeping You Fat? I’ve got a super busy next couple of days planned. Social things, chatty things. Lunches, dinners. On Saturday I’m meeting a friend to explore Macquarie Street through a lens. I’m filling the next couple of days with Gemini things- and that’s exactly how it should be under a Gemini Moon. To be honest, I’m never that comfortable with too much Gemini. Gemini, you see, is all about the mind- detaching from feelings in order to understand concepts, exchanging ideas with others, debating points, communicating. It’s also an extroverted sign- and I’m not. I’m also too attached to detach. Gemini needs others to share ideas and thoughts with. My Pisces brain is quite happy coming up with entire scenarios on my own. That doesn’t mean that I’m anti-social- far from it. It’s just that for these couple of days when the Moon is in Gemini I tend to feel rattled, restless, bored even. For this reason, it’s easier just to give in to the busyness. Boredom, you see, is the arch enemy of Gemini. Under the Gemini Moon we don’t tend to comfort eat, we tend to boredom eat. Gemini rules the hands and fingers in the body- one of the reasons why Geminis have to use their hands. Many Geminis are also great fidgeters. I know quite a few Gemini Moons who still smoke- mainly because it gives them something to do with their hands. I know other Gemini Moons who when they are bored, or procrastinating or agitated will nibble on little things- lollies, smarties. That sort of thing. It all starts from a single smartie. That’s how it can be under the Gemini Moon- little things, lots of little things. A smartie here, an M&M there- just something to do with your hands. It all adds up- quickly…you’d be surprised how quickly…but then again, maybe you wouldn’t be surprised. Gemini is like that- especially the Gemini Moon. It’s not a binge as such, more like and extended grazing session. Hand to mouth- especially if you’re agitated, especially if you aren’t actively engaged in other Gemini activities- like talking and texting. The couple of days of the Gemini Moon are great for training with a friend- and isn’t that multi-tasking at its best? Any exercise that actively gets the air into your body and moving around is good. Any exercise where you can have a little fun is better. That’s another thing Gemini is good for- fun. Reblogged this on and anyways….